One of Sprosty’s core missions is to help our clients discover new paths to revenue that they can’t see on their own. Because we’ve walked the walk, we can talk the talk. Inevitably, those conversations have two key underlying themes: IoT—the Internet of Things—and Retail. 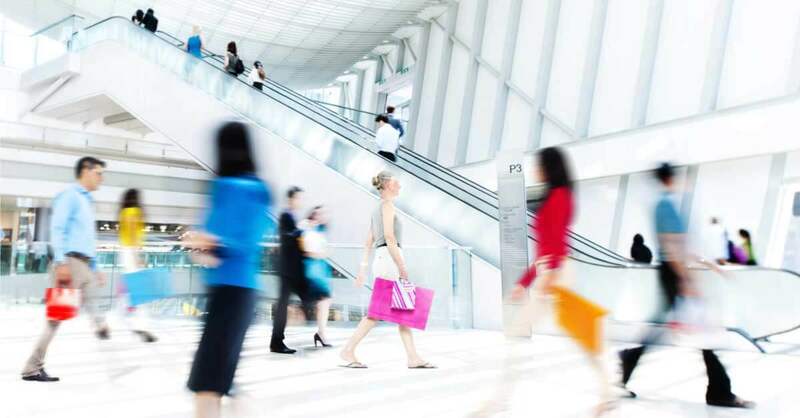 While it oftentimes can be easier for companies to see the IoT connections for their business, they often struggle with the retail aspect. Why is that? After all, don’t all consumer-facing companies need to know the customer in the same way that retailers do? Many companies are nailing the “know your customer” game, using technologies like IoT, artificial intelligence, and Big Data analytics to learn as much as they can about the people who buy their goods and services. By using those insights to understand why customers buy what they buy, they can more easily determine what else their customers might be interested in. The biggest example is, of course, Amazon. Already a retailer, Amazon didn’t buy Whole Foods just to get into the grocery game. The purchase also allows Amazon to get inside the minds of their customers, understanding the thinking and process behind how people shop for groceries. Through this acquisition, Amazon now has lots of experience around what goes into shopping for food. Others have yet to make this same leap of faith. They need to. Every consumer-facing company should be looking at their customers through a retail-focused lens, else they risk missing out on key opportunities to retain and grow their customer base. A retailer is defined as a “person or business that sells goods to the public in relatively small quantities for use or consumption rather than for resale.” What if we amended that formal definition of a retailer to instead read “a business that through its direct relationship with the customer uncovers their pain points and provides a solution in the form of a product or service.” Suddenly, calling all consumer-facing companies retailers doesn’t seem that far-fetched. There are several very public examples of this already in play. The Amazon example above is the most well-known. Another is Kickstarter. Using the revised definition above, Kickstarter is a retailer. It is a channel that allows anyone with an idea to sell it directly to the consumer. Utilities, airlines, hotel chains—all retailers under the amended definition. They all can and are using data gathered through technology to learn more about their customers and offer a wealth of new products and services based on those insights. Utilities, because they have customer usage data that allows them to make recommendations on areas such as energy efficiency programs, LED lightbulb efficiency programs and sales, IoT and Smart Home services, and more. And utilities are developing and selling those programs in house rather than just acting as a pass-through. They’ve found their customers’ pain point—rising electricity costs—and are providing products and solutions to help solve it. That makes them a retailer. Airlines, because they offer the type of pass-through service mentioned above, but for hotels and rental cars. As retailers, they are expanding their business by recognizing a customer’s pain point—having to go to multiple sites to book multiple products—and are offering them all through one portal. However, they could be doing an even better job by leveraging their website and app analytics, as there is a significant amount of data from consumers’ online behavior that could provide them with more personalized options to build a stronger relationship with much deeper customer insights. Instead of passively shilling rental cars, could they actively push a list of restaurant recommendations and connect them with an online concierge to make dinner reservations? Hotels, because they are layering additional products and services atop their traditional “room rate” options. Customers can now check in via their app for keyless entry, click through for driving directions to the hotel, and even hail an Uber. They are solving a pain point with a product or service, and therefore are a retailer. All companies want to become closer to their customer and understand what makes them tick. Thinking like a retailer can get them one step closer to turning those insights into money.